MossyMade: Do you want to Build a Snowman? 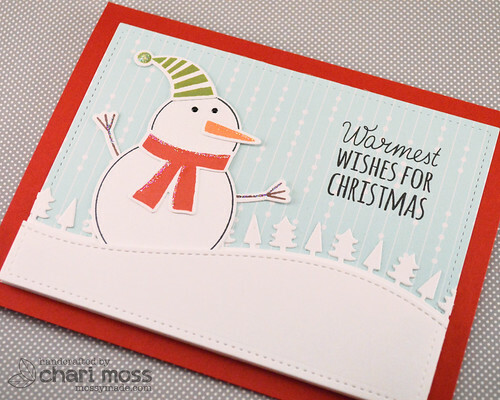 Today I have another holiday snowman card to share. 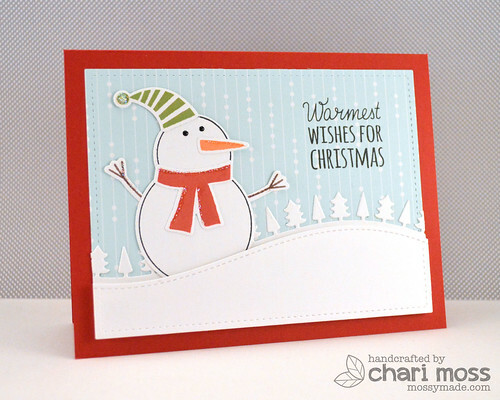 This card has a fun snowman created with Simon Says Stamp Build a Snowman set. I love that this stamp set has coordinating dies making it easy to cut out the pieces to build the snowman with. I used the forest border die and the matching stitched hillside die from Lawn fawn to create my scene for my snowy friend. I added some stardust stickles to the snowman's accessories like frost or snow settled on them. I also added some tuxedo black pico embellisher for his eyes to make them shine.